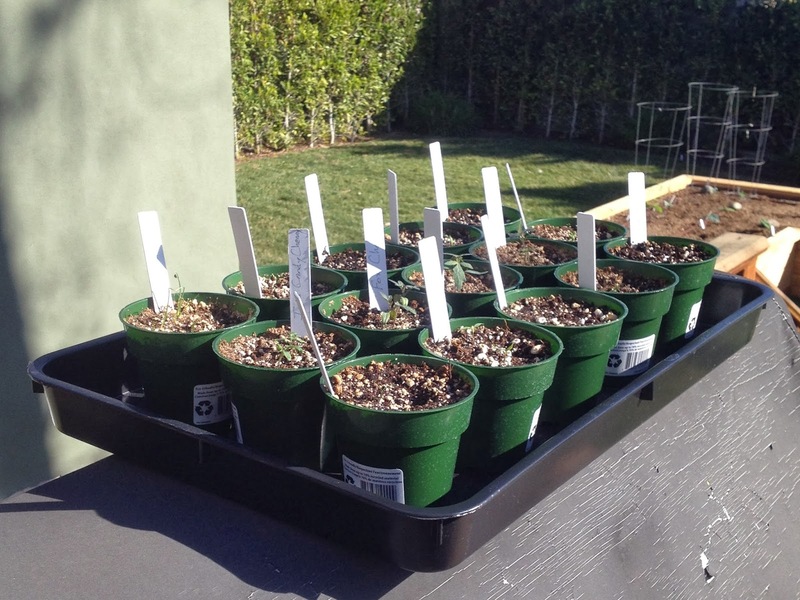 With the crazy warm weather here, I've just decided to take a chance and start getting things in the ground. 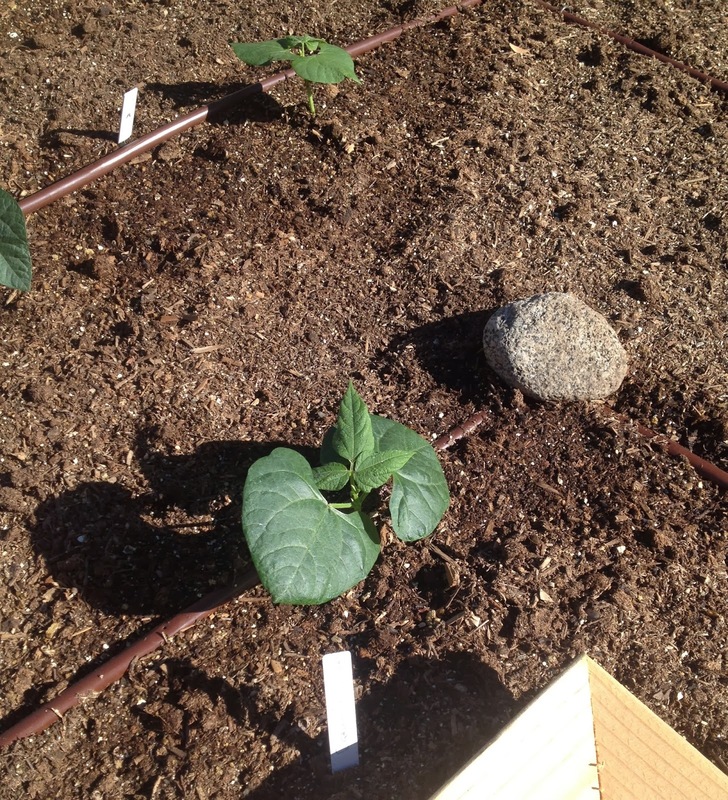 So the seedlings are coming along nicely and the beans have been planted in the bed. 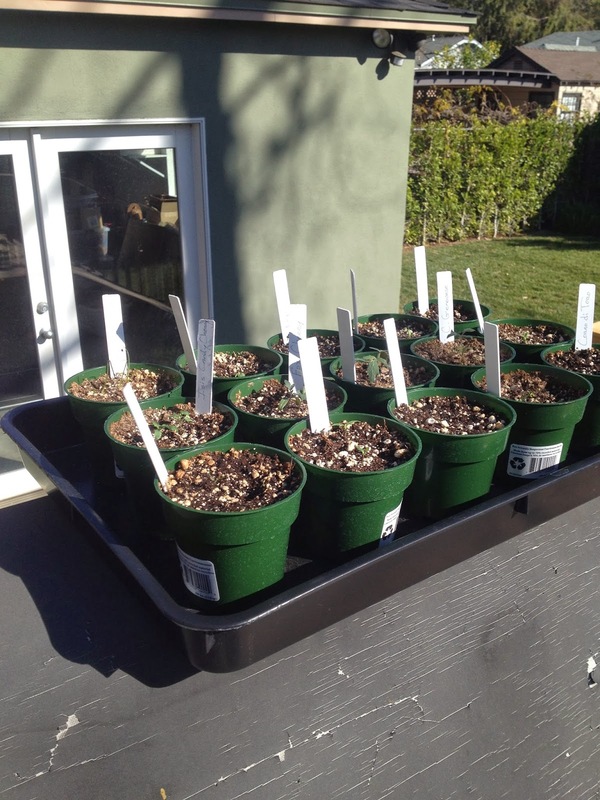 It is going to be 78F here today and next week in the 80's, so the seedlings are outside soaking up the sun. I honestly think they've grown in just the few hours they've been out. These are basically the tomatoes, peppers and onions. And here are some very happy beans. I've got the green beans, lima beans peas and dragon beans in. 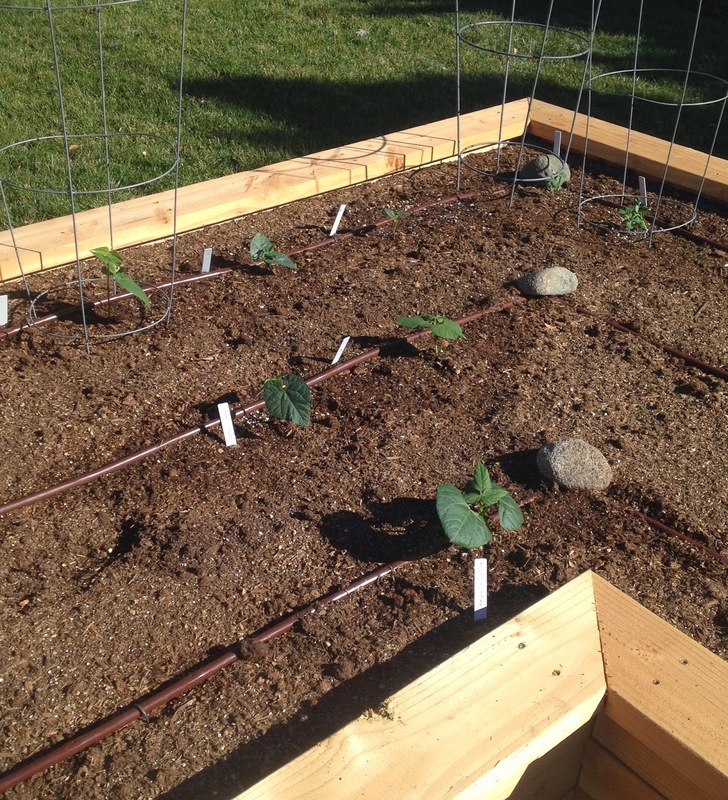 The irrigation is working well and if this weather keeps up, I may have to open a vegetable stand. I'm really impressed with the dragon beans and how well they are looking. The beans are stunning and hard to find here, so I'm looking forward to cooking with them. If anyone has a good recipe, please pass it along. The soil, which I think I mentioned previously, is an amazing mix of 1/3 compost, 1/3 peat moss and 1/3 vermiculite. It is so loose and airy, I think the results will be stunning.